Zach Condon makes music that sounds bigger than it truly is. 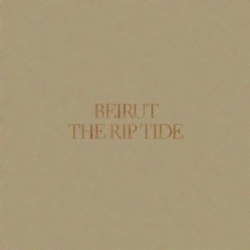 This fact is made apparent throughout The Rip Tide, Beirut’s first new LP in four years. And while the band’s previous works have had a ‘world music’ quality to them, the new album is focused on American locales (see “East Harlem”, “Goshen”, and “Santa Fe”) and could even be considered to be a “Zach Condon album” more than anything else. By consciously choosing to keep this album free of overt cultural themes, Condon was free to explore his own style that wasn’t necessarily dependent on an international influence. The end result is The Rip Tide, a jaunt, fun, and straightforward album that skips the pomp and delivers quality songs from one of the most under-appreciated bands recording today. And though it clocks in just a hair under the run time of 2009s March of the Zapotec/Realpeople Holland EPs (combined), it feels more conscious, structured and fleshed out. On the album opener “A Candle’s Fire”, Condon croons “Just don’t forget a candle’s fire is just a flame.” It’s an excellent sentiment to start an album that presents Beirut at their most vulnerable. Signature horns are front and center ready to grab the audience before the large, introductory crash of instruments that leads into the track’s summer day buoyancy. Like much of the album, this opening song includes classic Beirut tendencies, but removes all the frill; it leaves a more minimal song, but one that is more focused and brilliant. “Santa Fe” acts in a similar fashion, using sweeping horns to create the grandiose mood Condon envisions. “East Harlem”marks the point where The Rip Tide veers from traditional Beirut fanfare. This more optimistic effort still utilizes Beirut instrumental staples, but instead of building and crashing in movements, “East Harlem” employs a constant rhythmic melody that repeats throughout the song but never feels forced or irritating. The following track (and the b-side to the “East Harlem” single), “Goshen”, might be one of the most emotionally tugging songs Condon has ever written. For most of the song, a lone piano is all Condon employs along with his lead vocals. As the song goes on, Condon begins layering his voice over itself to make a chorus-style effect. And while this might sound odd, it actually works extremely well; Condon harmonizes with himself over the piano and light horns in the far background, crafting a beautiful delight. If I had to choose a song on the album to deem as weakest, it would be “Payne’s Bay” – and only because it seems the most out-of-place; the European overtones would have been far more appropriate on The Flying Club Cup. It simply feels like the sore thumb of the group. But as expected, Condon pulls a 180-degree turn with the album’s title track, offering an extended opening movement and Western-inspired song structure. With only six lines of lyrics (repeated twice), “The Rip Tide” is mostly instrumental, and that’s just fine. Beirut’s baroque-style chamber-pop (what a terrible genre name!) lends itself to pure instrumentation very well. Condon’s voice is as damn close to a living instrument as you can get, and it feels like his lyrics were written with spontaneous appeal rather than a practice of regurgitation. Moving forward, “Vagabond” brings us dangerously close to “Payne’s Bay” territory of being sequentially discordant. Fortunately, it quickly moves into personal theme music to a scrappy young boy factory worker at the turn of the 20th century; it’s light, but not pompous. If “The Ripe Tide” was the album’s instrumental track, “The Peacock” is its vocally-focused jam. 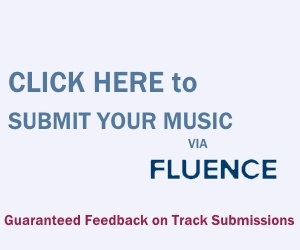 Similar to “Goshen”, this song finds Condon harmonizing with himself on layered tracks. Unfortunately, “The Peacock” rests too much on Condon’s vocal chops, leaving the instrumentation sounding like a muddled mess under the multiple layers of singing. “Port of Call” brings the album full circle by showcasing Condon’s incredible ukulele skills. Two minutes in, the horn section joins in and it sounds like listening to a b-side from earlier Beirut work, utterly nostalgic without the audience knowing exactly what Condon is being nostalgic about. 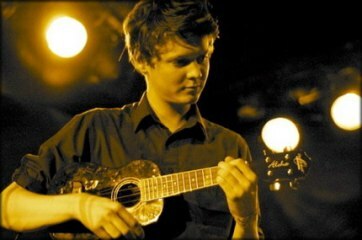 Zach Condon is one of the most talented musicians alive today and he proves it continually. Many Beirut fans were expecting a new culturally-themed album. Because of that expectation, some fans may be slightly disappointed with The Rip Tide. Instead of looking outward, to the rest of the world for inspiration, Condon took a look into his own backyard and himself to craft this group of songs. And while the level of quality swings between ‘incredible’ and ‘generally good’, none of the album is superfluous or worth skipping. If you’re looking for the same ol’ Beirut, you won’t find it here.